This quaint and sacred space at the foot of Pikes Peak, brings a spirit of beauty and balance to lives joined together in Christian marriage. Sacred music and symbols celebrate the blessings of family and friends brought together in God's good grace. The sanctuary comfortably seats around 140 guests. 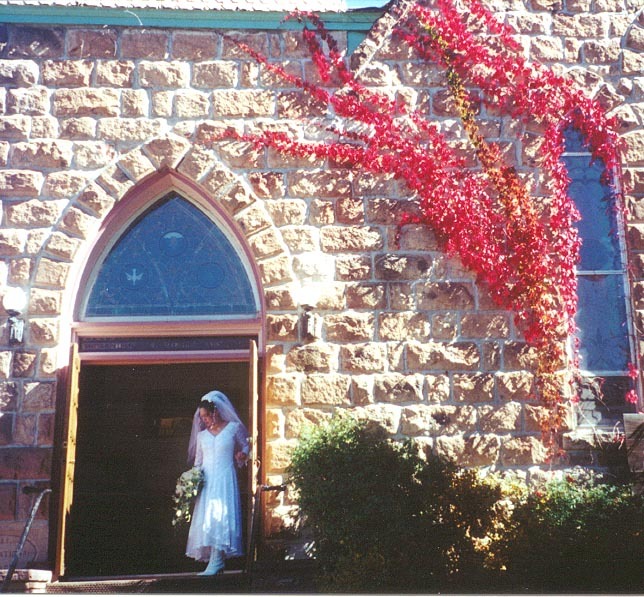 There are any number of excellent facilities located nearby the church for wedding receptions and rehearsal dinners here in Manitou Springs. Due to the number of wedding ceremonies held every year at this church, couples are encouraged to contact the office at least three months in advance for reservations. 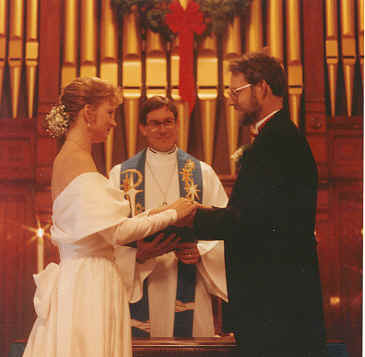 Couples are required to meet with the minister and attend a Sunday morning church service prior to their wedding date. Additional information about the ceremony and music can be shared at these times.